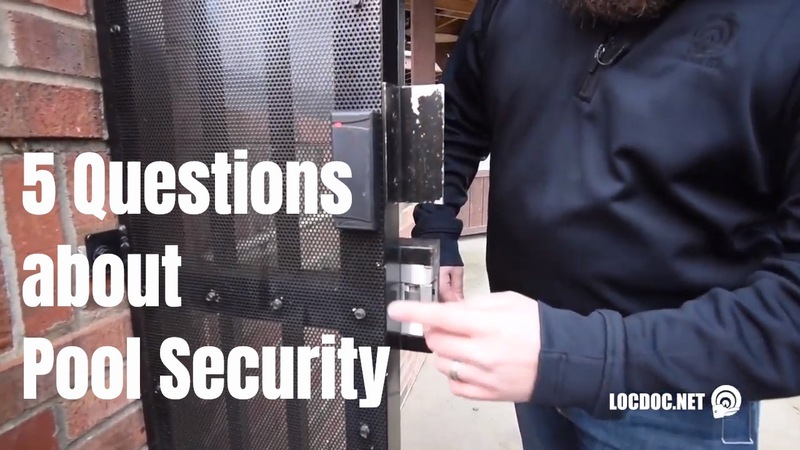 Ask the Doc is a new series where we answer commonly asked questions about security. We’ve compiled questions that You have asked and we are working our way through them all to give you the answers! Today we are going over 5 common questions about pool security that can help you protect your community. Let’s get started! 1. 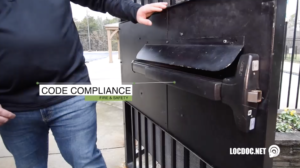 What is a Pool Security System? 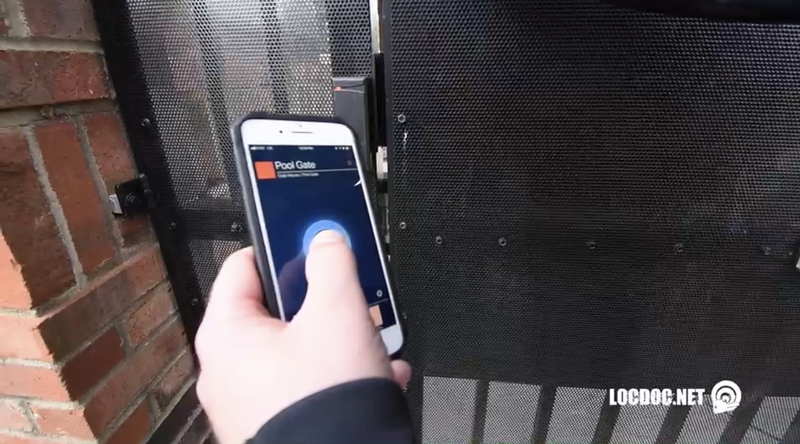 In simple terms, a pool security system is a means of securing the gate or entry point to the pool while also providing access for home owners and their guests. Another question that we’re frequently asked is ‘What components are needed on a pool security system?’ and ‘What do they do?’. Starting on the inside of the gate is a Panic Shield where a Panic Bar that is Fire & Safety Code Compliant is mounted and a Bar guard which prevents unauthorized activation of the bar from over the top. There is also an electric strike that provides security and a reader to give the user access to the pool. 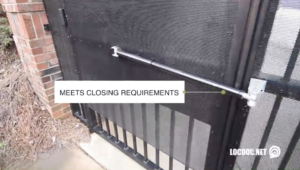 A few other components installed on the exterior of the gate include a perforated metal that prevents reach through as well as a heavy duty gate closer for positive latching and a heavy duty continuous hinge to handle all the weight. 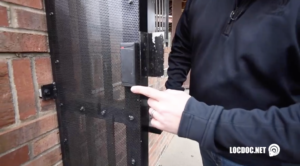 We’re often asked if we can install keypads as opposed to card readers and key fobs. The simple answer is yes, however, we don’t recommend this solution because of a lack of audit trails and simply anyone with the code can gain access. 4. How Do I Manage It? Another question that comes from property managers is ‘How do I manage my system?’. This is done using a secure online website to manage your users on an individual basis and issue them fobs for access or a mobile pass that can be used on their personal cell phone. 5. Why Do I Need It? Why do you need a pool security system and what are the benefits? The main benefit of a pool security system is being able to secure your pool while giving owners and their guests access while preventing unauthorized usage. 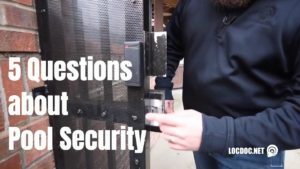 If you have a question about Security, we’d love to help!